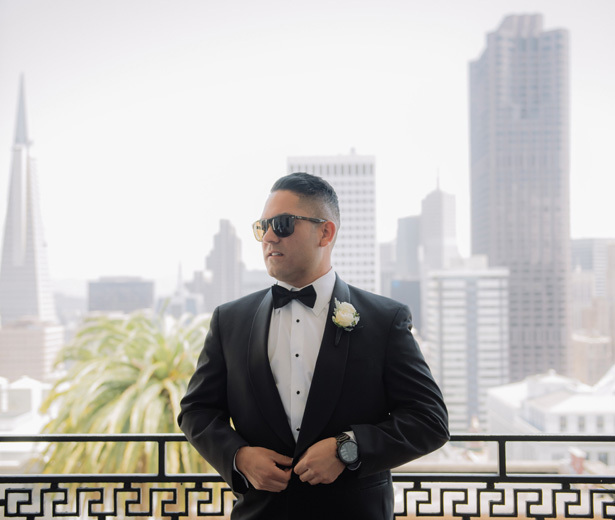 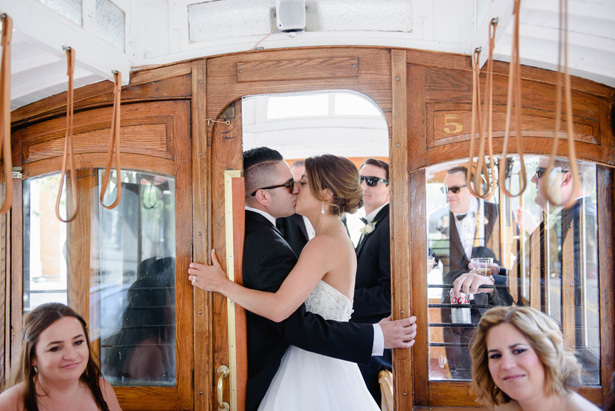 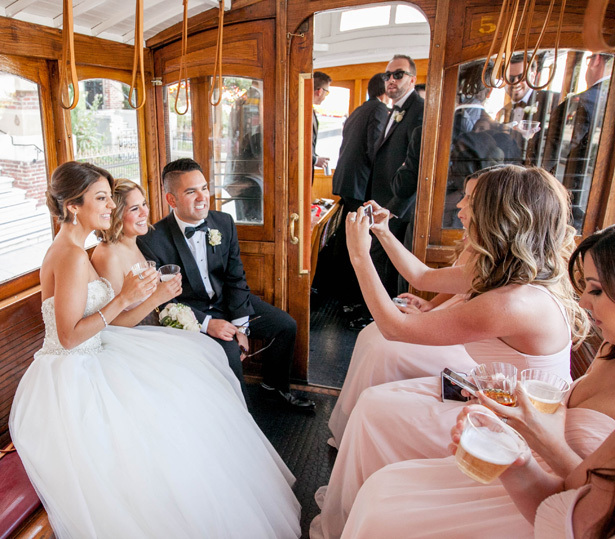 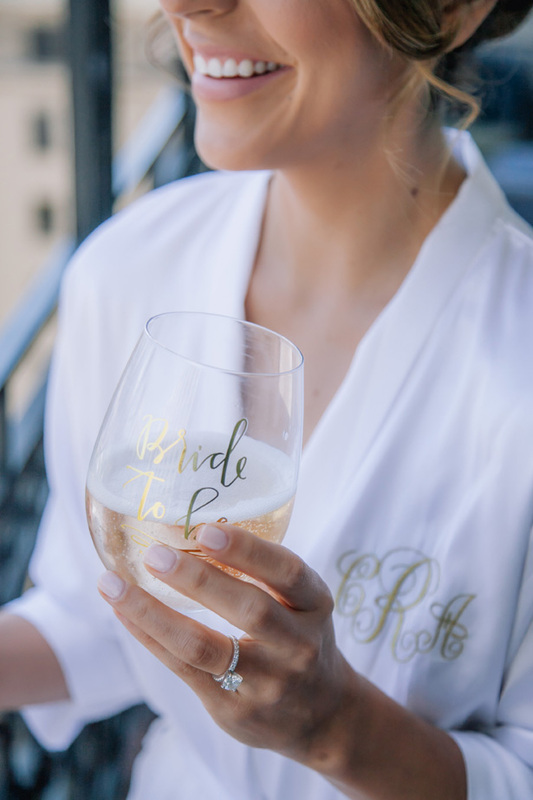 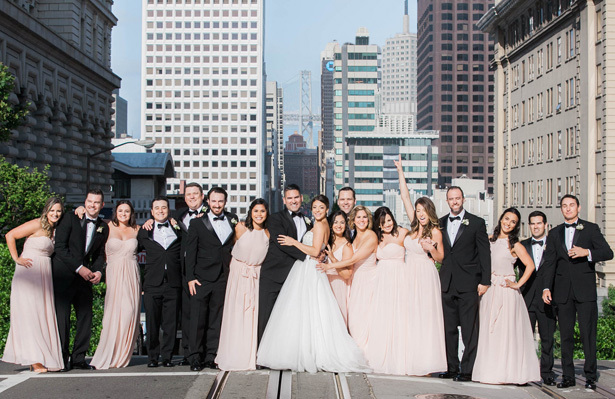 Gold accents, a San Francisco trolley, and a landmark hotel — this timeless wedding is the definition of class. 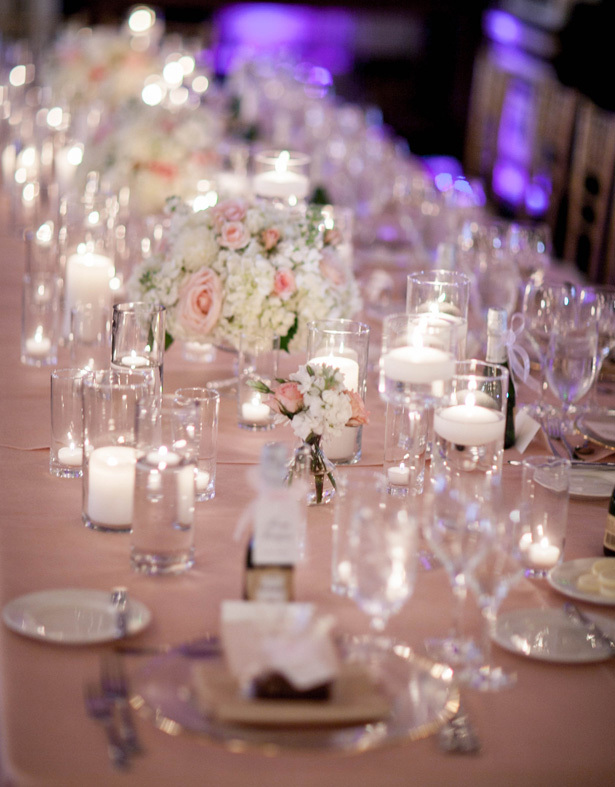 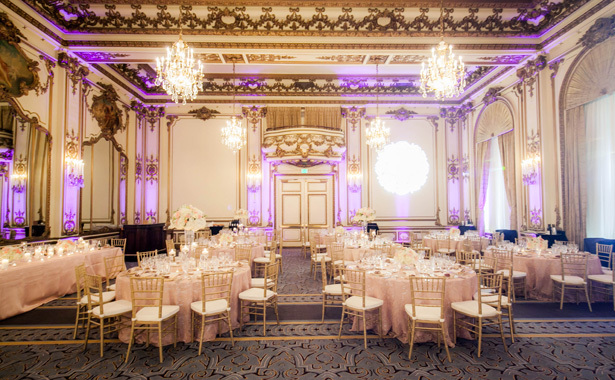 The light blushes of the color palette give a lovely, romantic feel, plus and the decor at The Fairmont San Francisco is just so stunning and slick that it’s easy to get swept away. 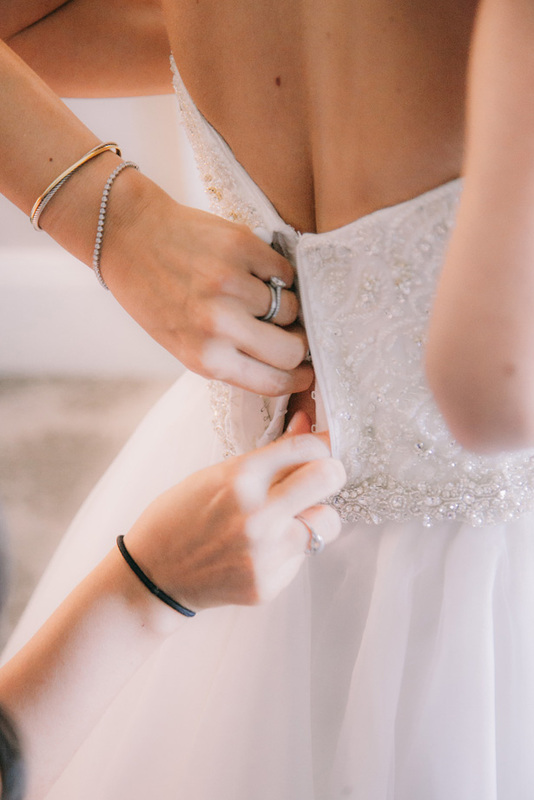 All of the little details, from the beaded sweetheart bodice of the ballgown dress to the traditional tuxedo, are filled with class and glamour. 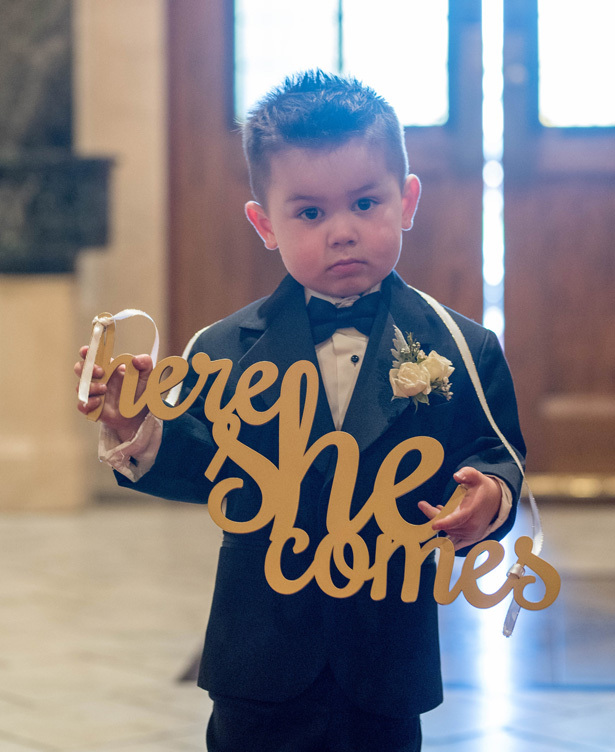 (And the tutu on the flower girl — too cute!) 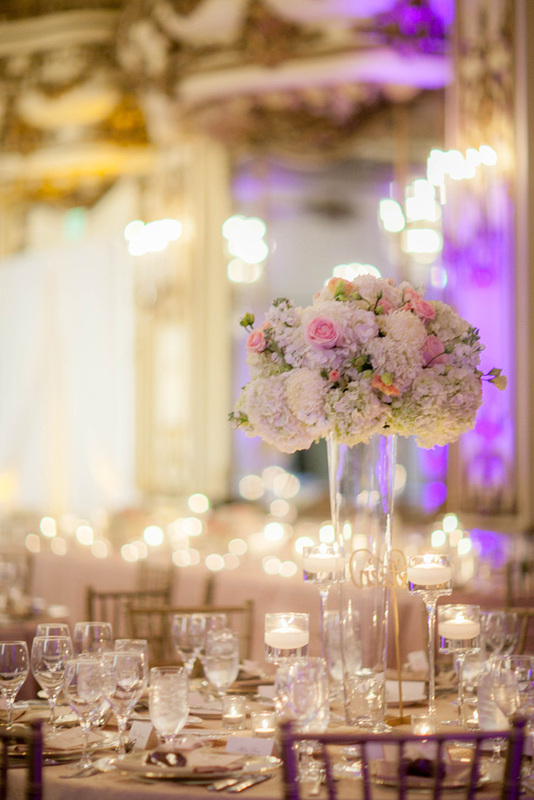 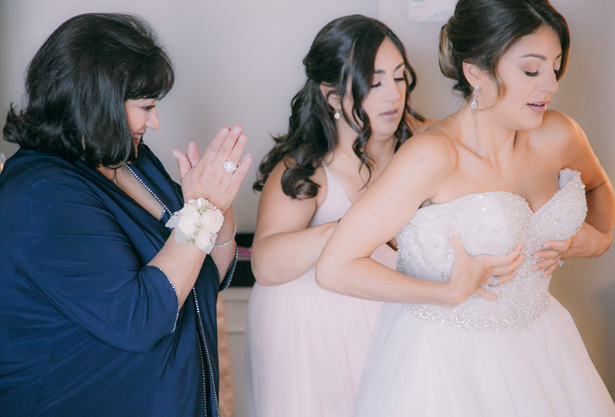 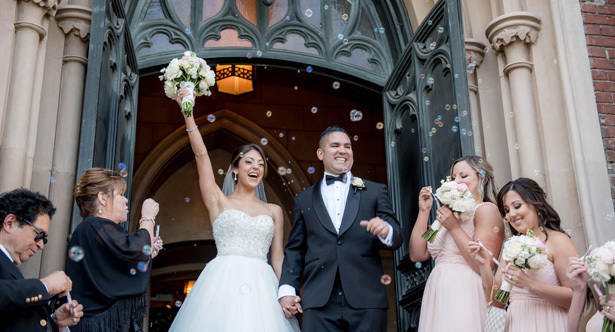 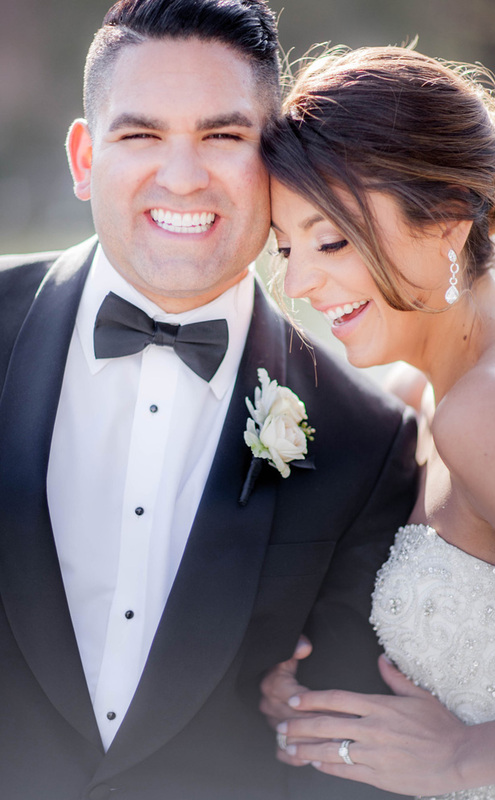 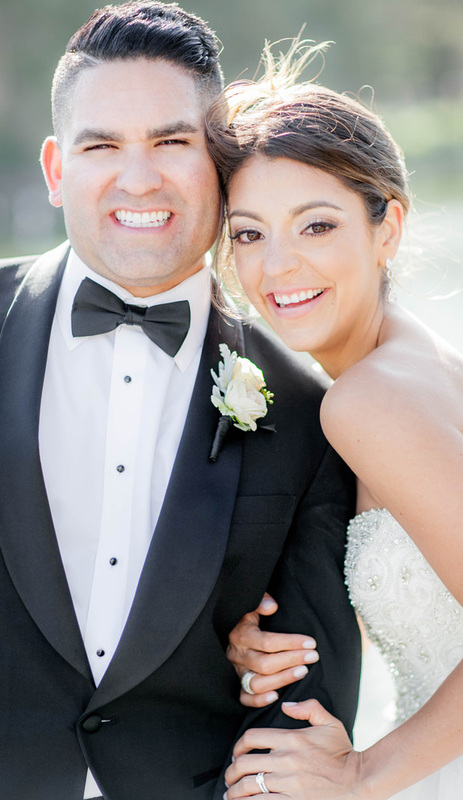 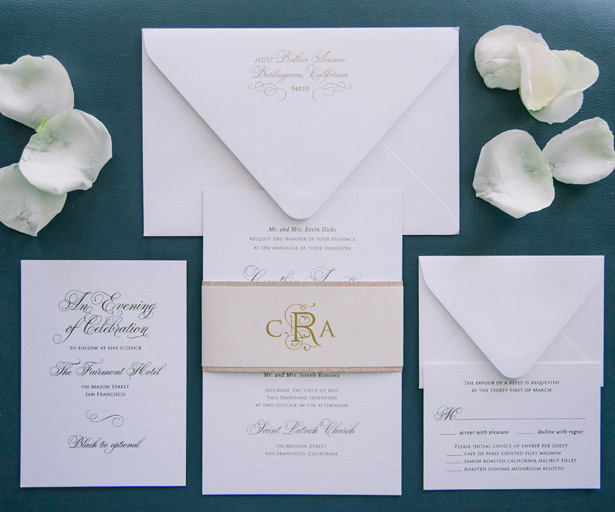 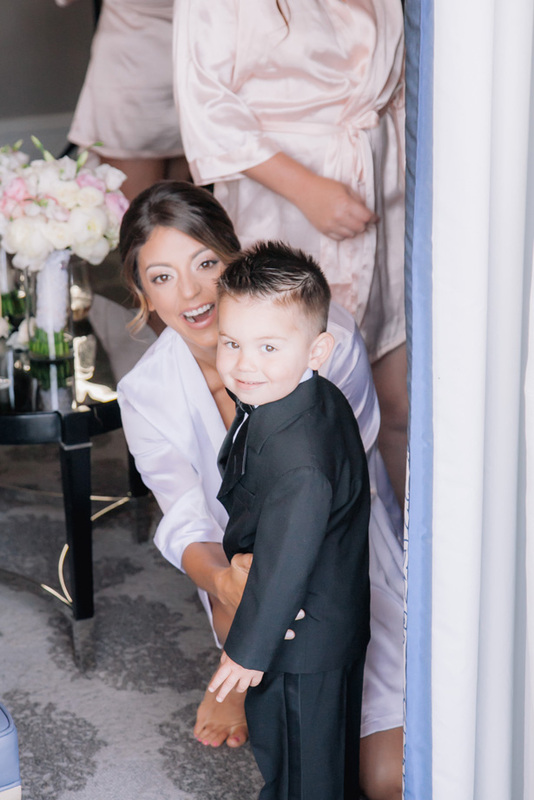 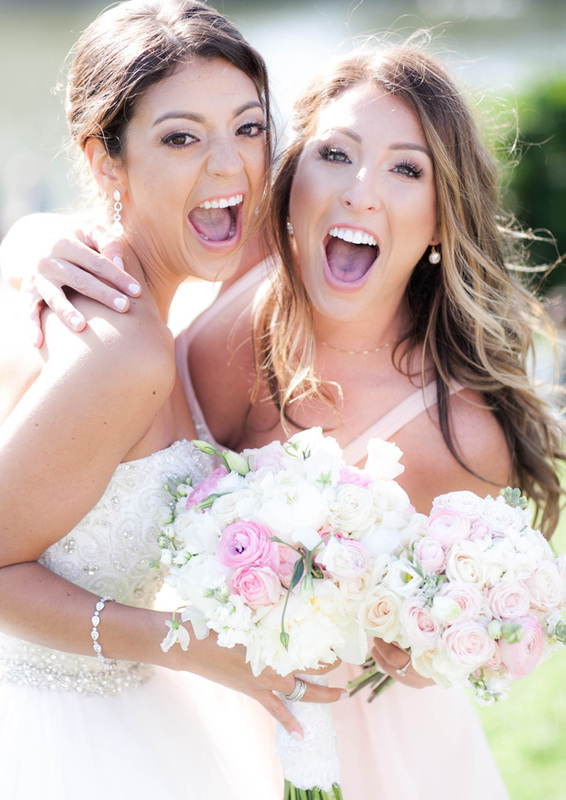 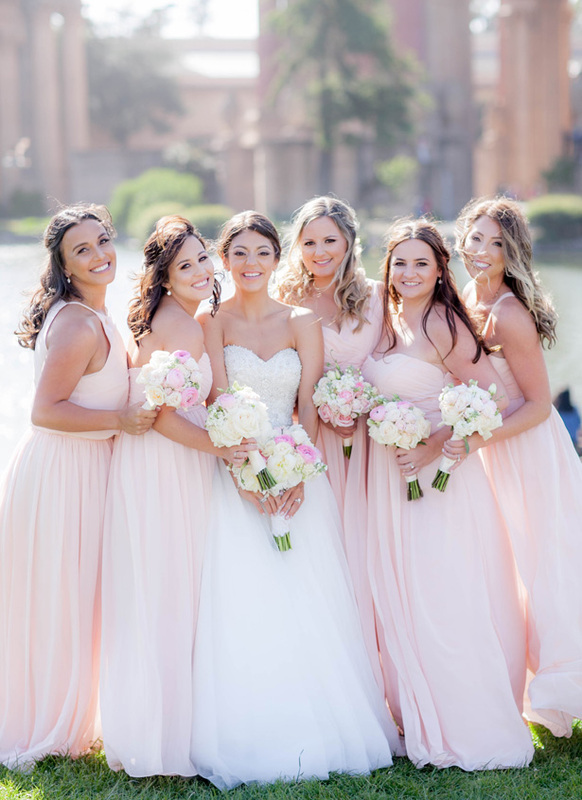 To see how a wedding can so perfectly encapsulate timeless elegance, check out the FULL GALLERY from Clane Gessel Photography. 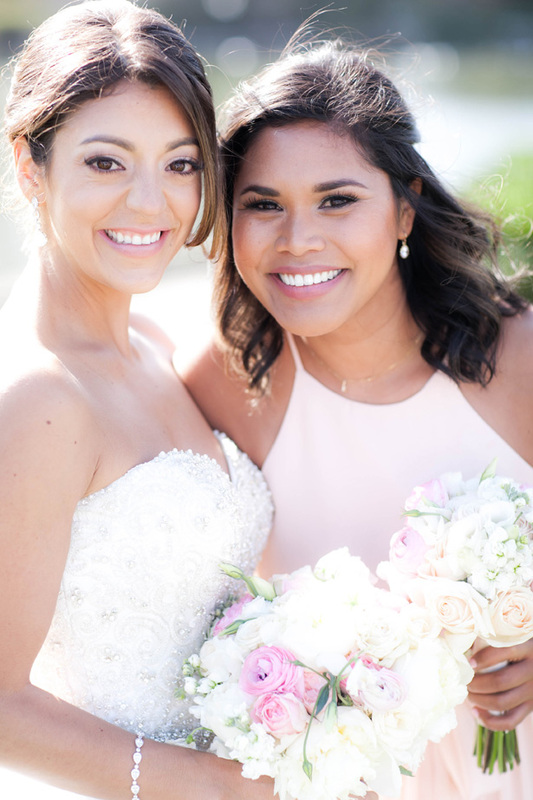 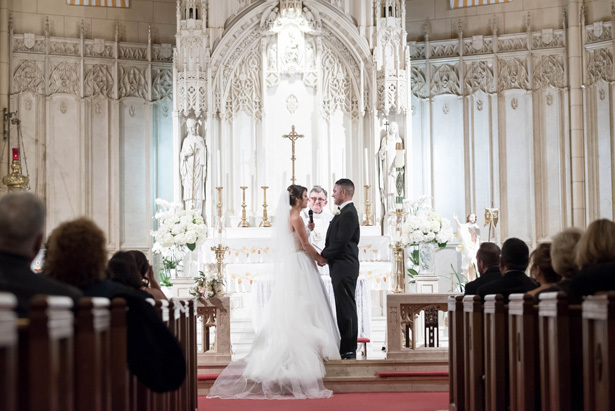 The special moment for both of us was meeting at the altar.There was so much build up to this day and seeing each other at the end of the long aisle was so special. 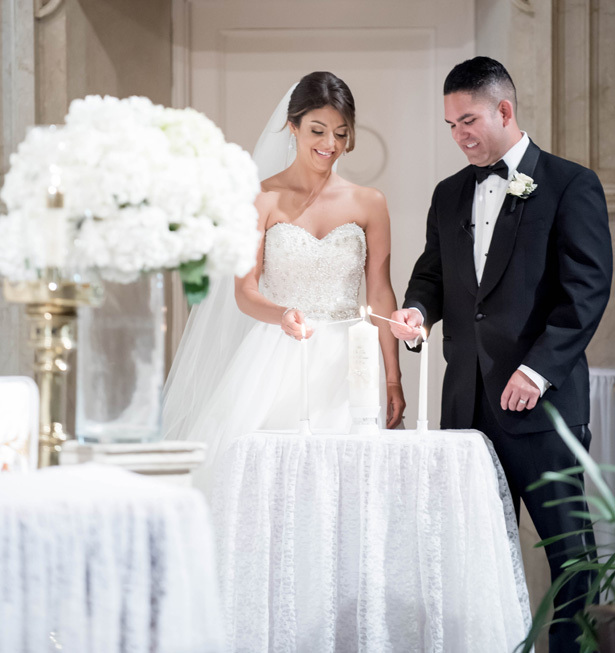 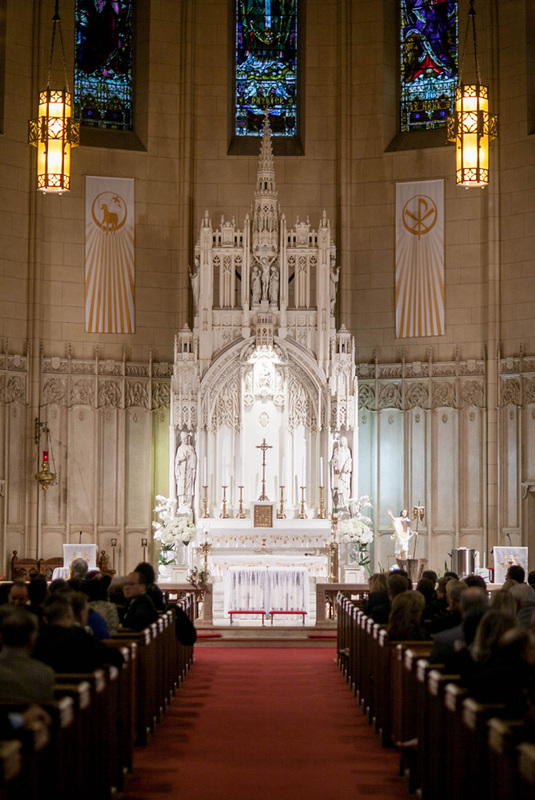 We wanted to do everything very traditional so we opted to not do a first look and we are so happy we chose that.The moment the church doors open and we made eye contact was such a special and emotional moment for both of us. 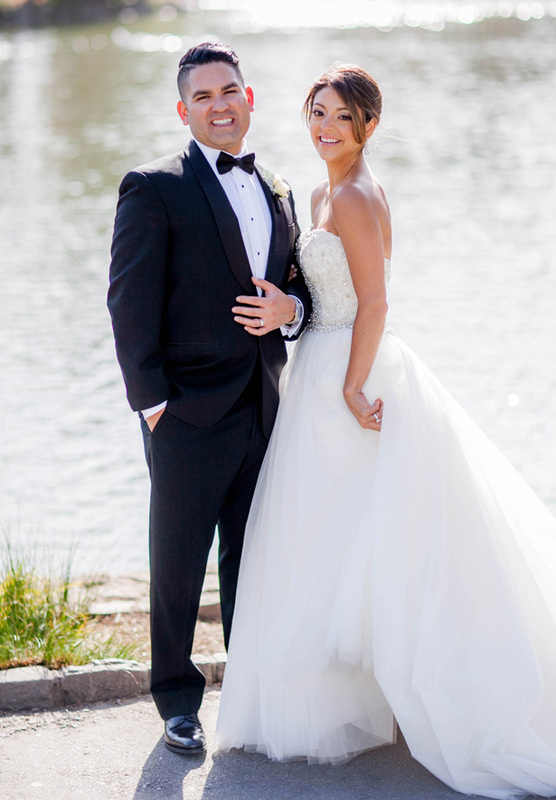 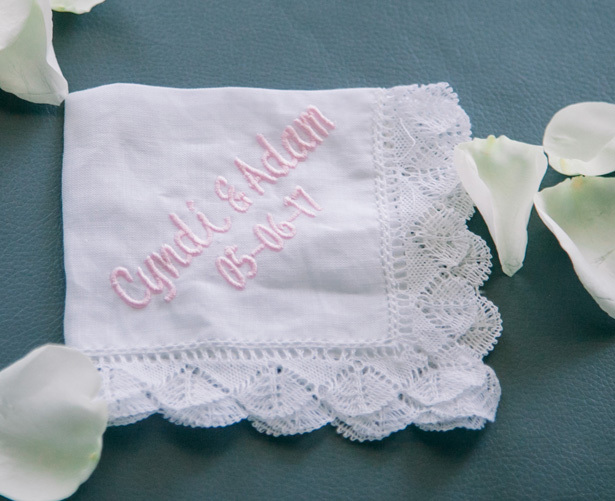 We knew we wanted our wedding to be two things: traditional and classy. 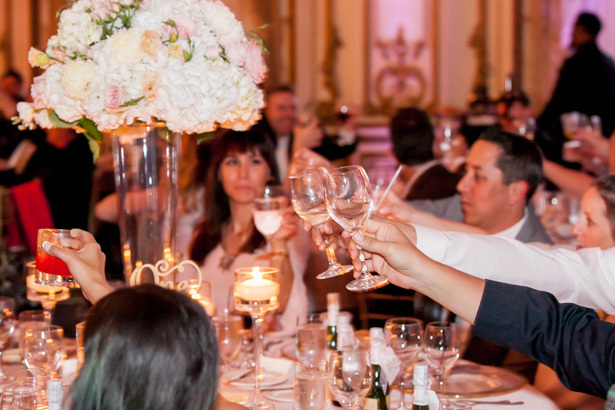 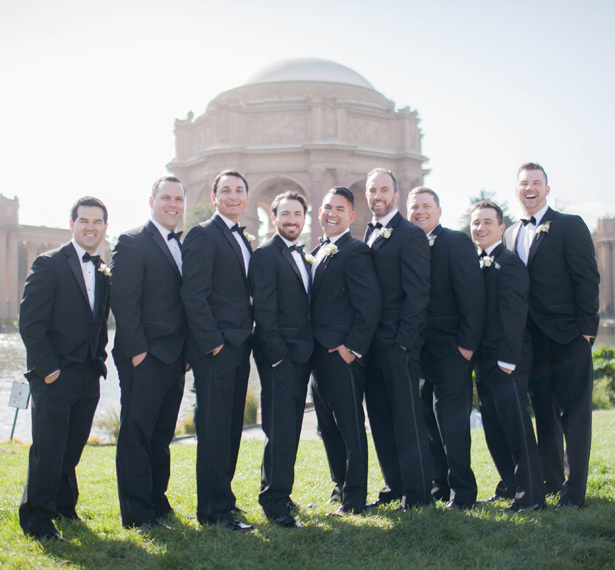 The Fairmont is quintessential old San Francisco and is a venue that is hard to compete with. 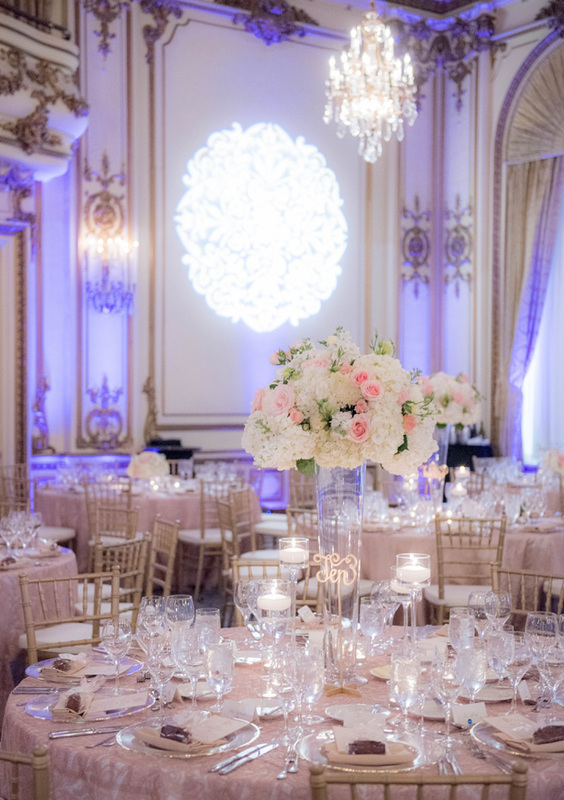 When we walked into the Gold Room, modeled after Versailles, it took our breath away. 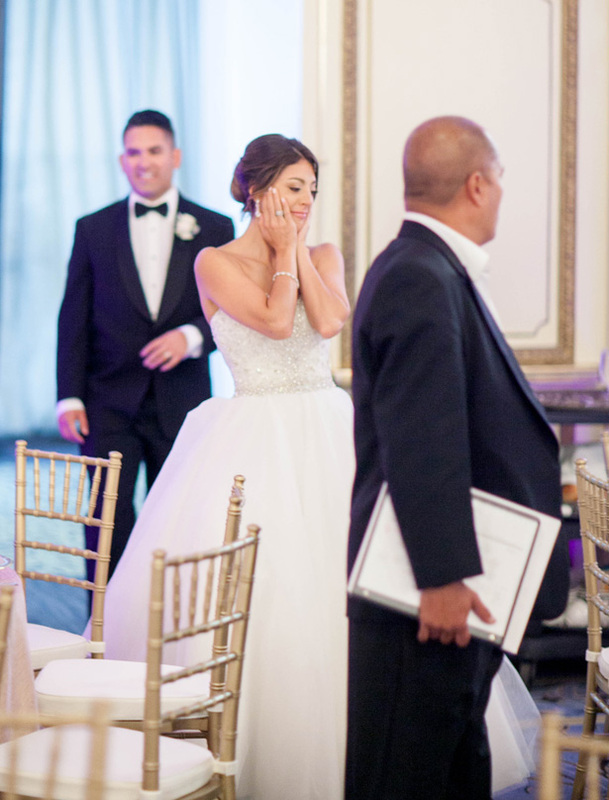 Tears filled Cyndi’s eyes and Adam knew the decision had been made. 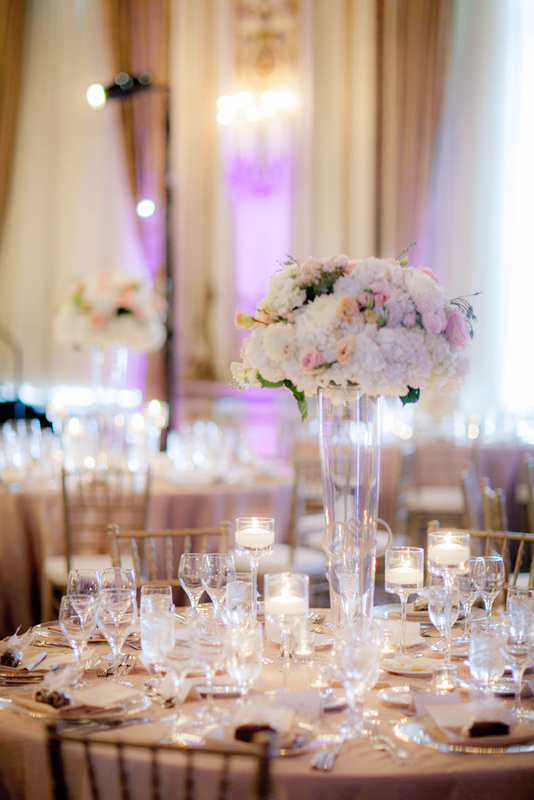 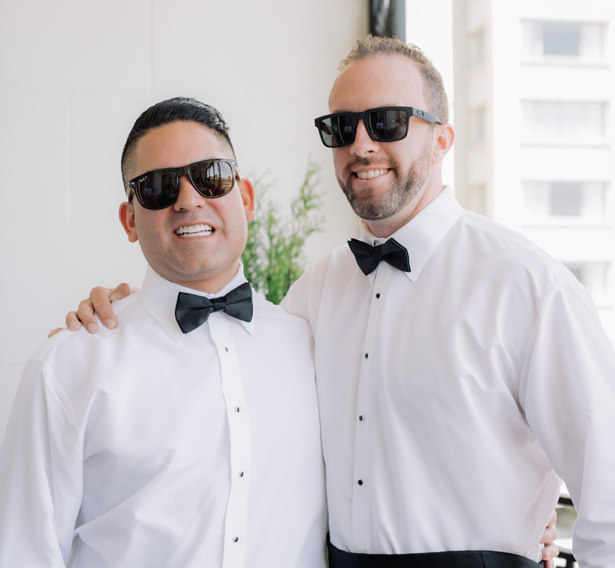 There was no other venue that compared to the Fairmont in their books and they both had their hearts set. 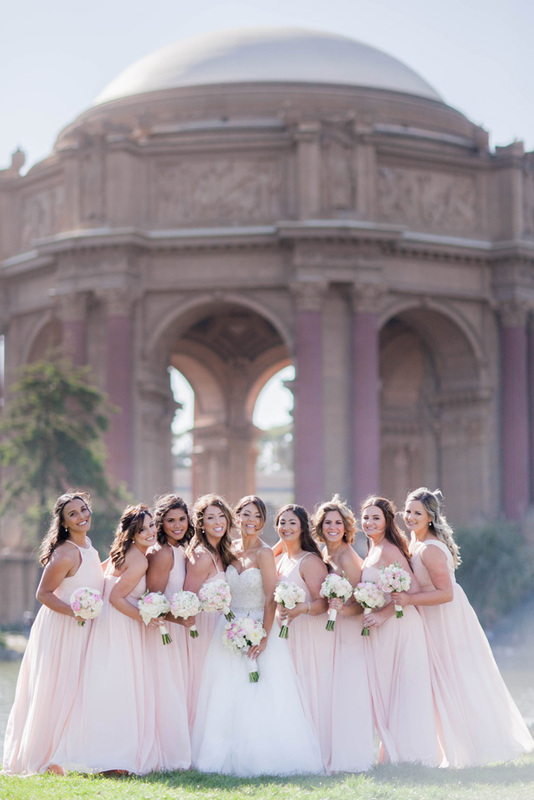 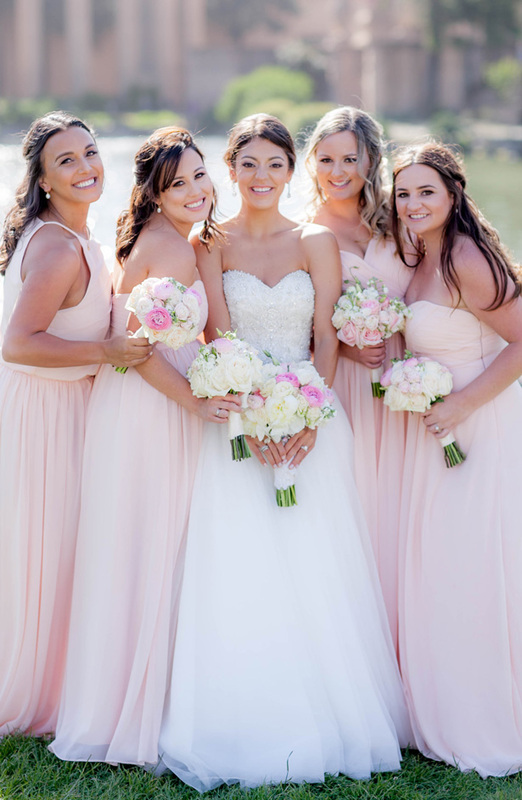 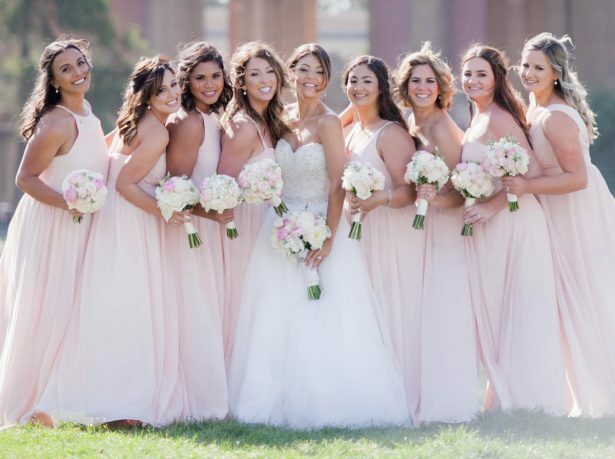 To go with the gorgeous gold of the ballroom, we loved how well blush would go with the whole color palette. 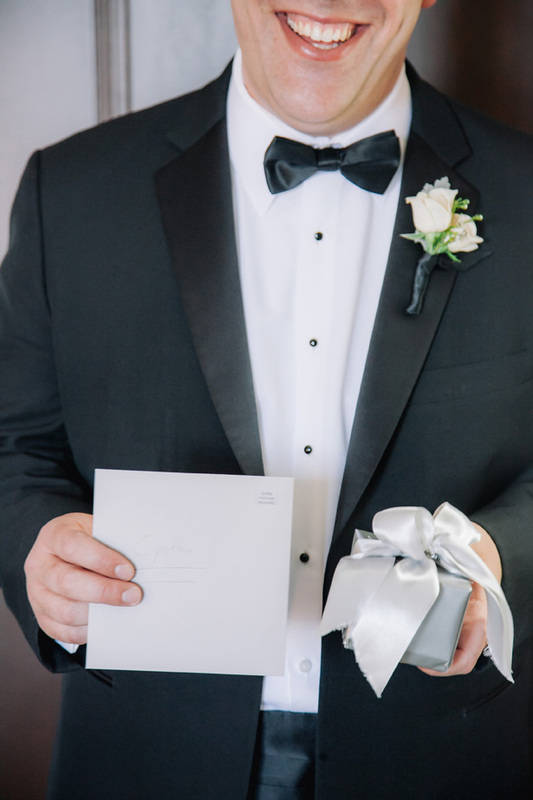 We did a unique seating card that also opted as a favor. 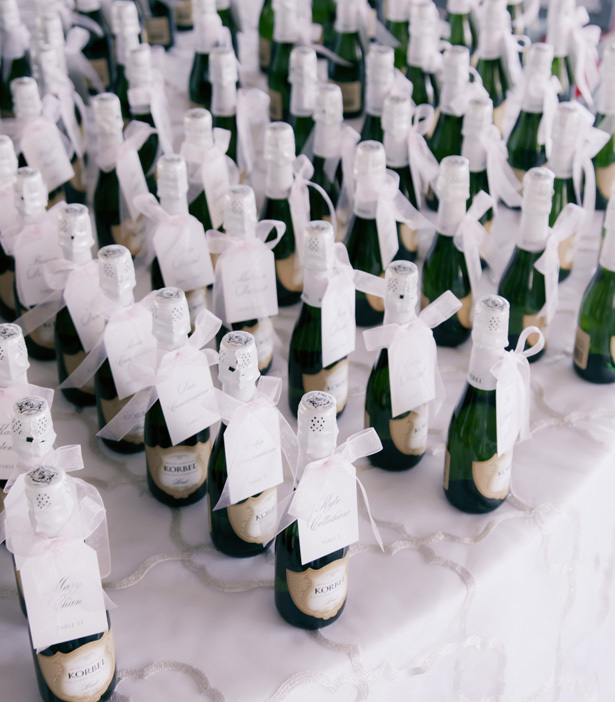 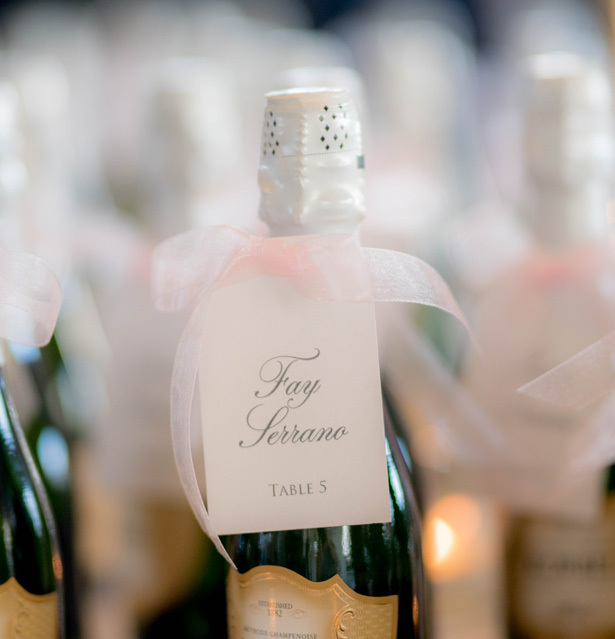 Each guest had a mini bottle of champagne and a tag on it that said where they sat. 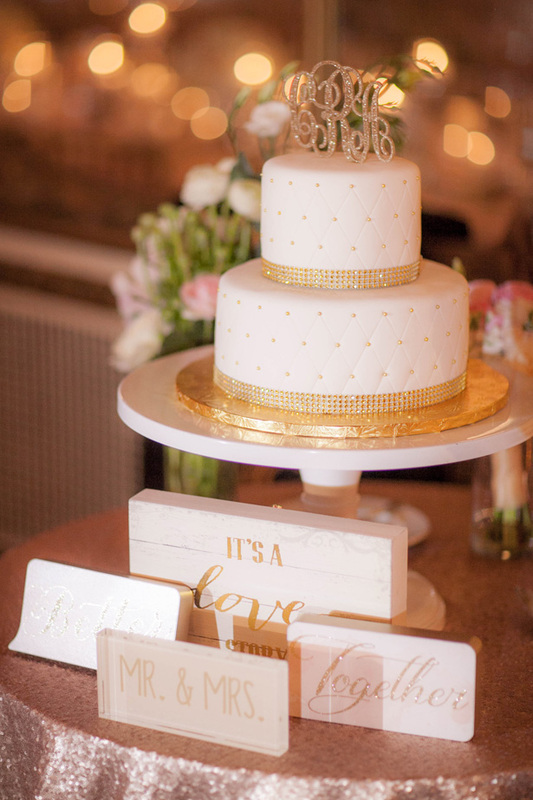 In addition, we had Golden Gate Bridge chocolates waiting at each seat in the dining room as another favor.